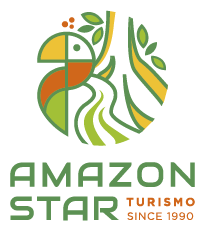 Amazon Ecopark Jungle Lodge is a privately owned tourism complex and scientific and educational enterprise, operating since 1991, lodging facilities opened in 1995. Location: Tarumã River, 1 hr approx. from Manaus’ airport (transfer by van or bus and regional river boat) The Lodge: All bungalows are comfortable, pleasantly decorated, while maintaining a rustic atmosphere. 20 bungalows (each with 3 apartments), total of 64 comfortable apartments and 1 concrete bungalow.